Dr Jagruti Hare graduated from Guy’s Hospital London in 1990, and immediately began work as House Surgeon in restorative dentistry. She has worked at Dental Care Centre Muswell Hill since 1991. 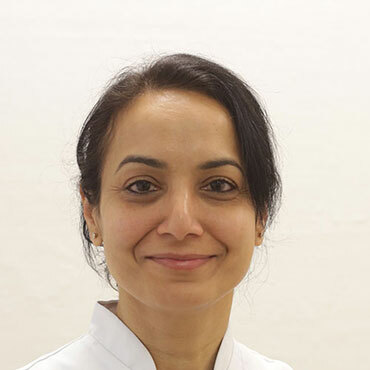 With over 26 years experience in dentistry, Jagruti is committed to providing a high standard of dental care for all her patients and their families, with a caring and sympathetic approach. Jagruti is married with four children, and enjoys tennis, running, skiing, and playing the piano.